Bathroom Buddy helps toddlers and children during the potty training process, and thereafter, by instilling good habits relating to using the bathroom. 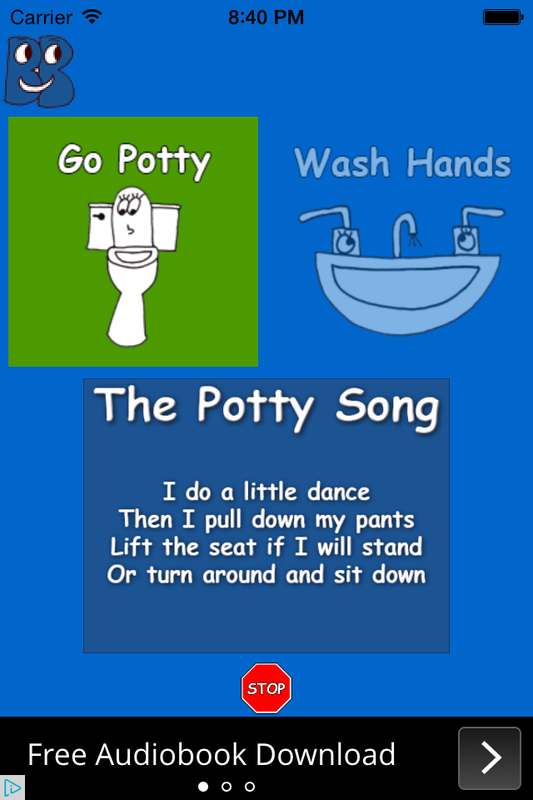 These songs were created as a fun way to guide children to use the bathroom. They are designed to tell children what to do and when to do it. Ideally, as they learn the songs they will remember everything they need to do, and finish in a timely manner. If these habits are instilled at a young age, once they are teenagers you should never have to remind them to put the toilet seat back down.